Benny & Robert finish the blockwork and start applying the scratch coat. 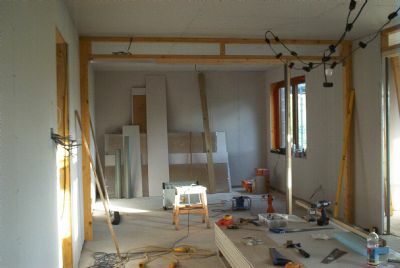 Inside, we make a start on the framework for the sliding doors between the kitchen and lounge. 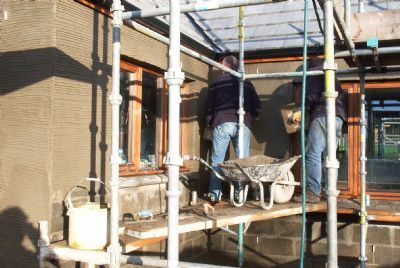 Yesterdays torrential rain and gales (bad enough to stop work) have gone and the builders are able to resume scratch coating in fine weather. 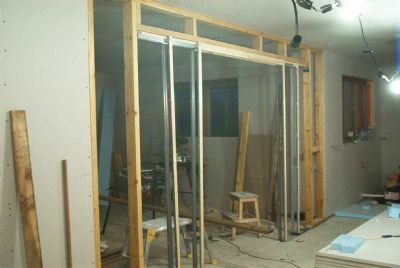 We also continue constructing the final partition wall between the kitchen and dining room. 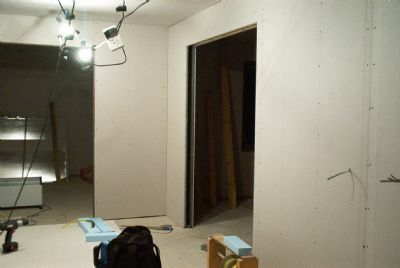 The rooms shapes and frames are now completed - we have just 4 pieces of plasterboard to fit tomorrow morning. 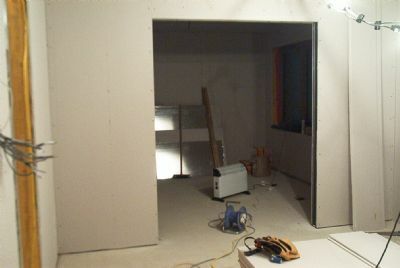 Another VERY wet day so no builders again, but did finish the final partition wall downstairs. Then started laying the final floor upstairs. 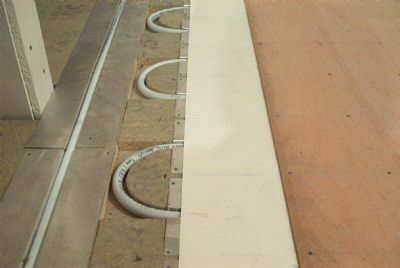 This photo shows the various layers of the floor (22mm chipboard, 18mm strips, aluminium plates carrying the 16 mm under floor heating pipe, paper sheet and 4 mm plywood).